AdSense income calculator helps estimate monthly income from Google Ads on your website, competitor or potential investment website. Calculations are based on Monthly traffic / page views, traffic sources (Google organic / social / direct) Mobile vs Desktop and country from where users come to your site. If you own a website, or consider buying one – the estimate you should be looking at is between LOW-END to MID-RANGE. High-End range is rare. However, you can increase your RPM, and subsequently site earnings, by optimizing ad placement. 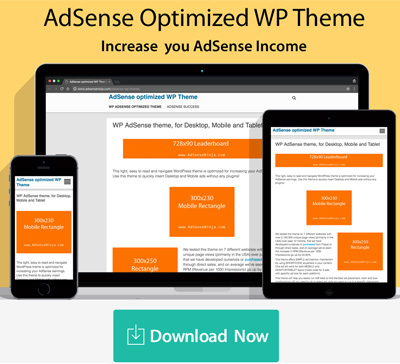 Our AdSense plugin for WordPress places ads on your site where visitors are more likely to click on them, displays the appropriate ad sizes on Mobile and Desktop platforms, improves your CTR and ultimately increases ad revenue! These ranges represent an IDEAL maximum RPM (Revenue per 1000 page views) that your website can earn. Ideal means that 100% of your site traffic is US, ORGANIC, DESKTOP. While ideal is possible in theory, its impossible in reality, for websites that have any moderate level of traffic. Therefore, Max RPM is reduced by factors such as Source of traffic (organic being the most profitable), Country of visitor (US being the highest Cost Per Click country) and Desktop/Mobile, with desktop, typically offering better RPM/CPC. As an example, on my recent investment site, i was able to increase RPM by 122% and total earnings by 157% (with small increase in traffic), by making optimizations to mobile and desktop ads. Earnings estimates fall inline with 90% of small-to-medium size websites monetized with Google AdSense. The outlying 10% can have an extremely high or extremely low RPM, due to site’s nature. For example, my clients have sites where RPM is BELOW $1.00 and ABOVE $50.00 consistently (for years), both with primarily US traffic. These extreme cases however, are not included in the calculation. Here are screenshots of two different websites, with extremely low and extremely high RPM. What you need to take from this – it’s very unlikely for you to fall into either of these categories, but it is possible! This site has earned over $250K in its lifetime, and is now making over $8000/month. This site has earned over $120K in its lifetime. 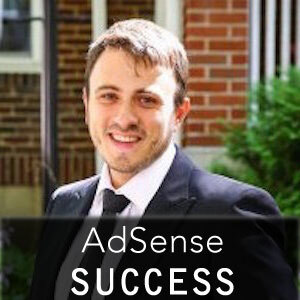 Currently is not monetized with AdSense, because it shifted into product sales. NOTE: AdSense income estimates are based on millions of unique page views and over $1,000,000 in AdSense earnings used for calculating your website income potential. I don’t get your question – which one “what” should you use? So are you offering a theme or plugin or both? I will be offering both plugin and theme, separately and as a bundle. Plugin will go live in a day or two. I was going to release it last week, but found a minor issue which I want to fix before release. Theme – I felt it wasn’t ready for prime time, so I halted it in favor of finishing the plugin. Now that plugin is finished and works (except that small bug), I will finish the theme, and make it available too. Would like to know where is the buy button for your theme and the adsense which you created? Google is very picky about approving new accounts. Your site should have “good” content and some traffic, before you apply. Google will review it. Build up your site, and then re-apply… I mean without good content/traffic, you won’t be making any money anyway … unless you do fake clicks, but Google will catch up to that very fast and ban account forever… so highly NOT recommended to do fake clicks, click 4 click, etc. You need a website with traffic, that conforms to AdSense policy. wow these are some crazy states, however your calculator seems way off..
Why do you say calculator is way off? I base it on over 20 sites that I own in different niches, as well as multitude of sites that I reivewed on Flippa as potential investment. You can’t compare “average” to a site that you might have that performs way better or way worse … you need to consider millions of pageviews, across different niches, all over the world. In the beginning which hosting service I should use? I use SiteGround for this and my other priority websites. If you just starting out, you can go for a $4/mo plan. If you don’t anticipate growing BIG in the next 2 years, prepay for 2 years – renewal price will be double. If you grow big, then upgrading service won’t be a cost issue down the road. I’m in planning stages of moving from GoGeek ($12/mo) to VPS, also on SiteGround. They have excellent speed and reliability – in over 2 years not one downtime. You are comparing two metrics that cannot be directly compared! It’s like comparing apple to a guitar (one is fruit, and the other is musical instrument). ORGANIC is the type of traffic source (Organic = traffic that comes to your site from search engines such as Google, Bing, Yahoo, etc). It is compared to Direct, Referral, and Paid traffic. So yes, it’ can’t be 110%, but also the two cannot be combine it same “equation”. Organic traffic can be divided into Desktop/Mobile/Tablet device types. I just watched your video on how not to lose 100k on Flippa. Full of great information and I appreciate your insights. I should tell you that I am a grampa of 3 beautiful granddaughters and took no offense at your “old people” search engine comments. Comparison between two sites are eye opener for me. Do you think which site needs less work less rpm or high rpm? I think sites with HIGHER RPM should be the priority, because for every 1000 visitors that you bring to the site, you make much more money. However, you do need to consider site’s niche and how easy or hard it will be to increase the traffic. But still, I would dedicate my time and energy to high RPM sites first.